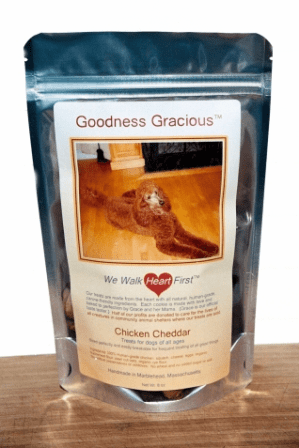 Goodness Gracious 4 Cookie Sampler Box SPECIAL: 24 bags, 6 bags each of 4 cookie varieties. 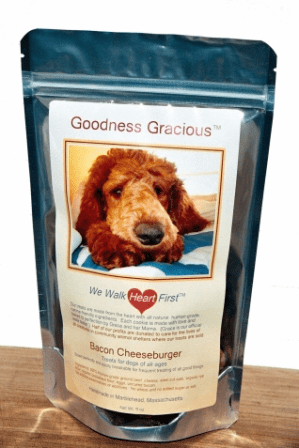 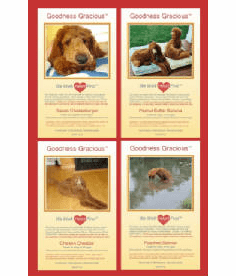 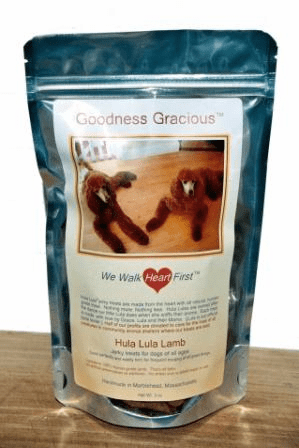 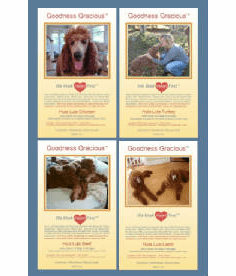 Goodness Gracious products are made from the heart with all natural, 100% human-grade, canine-friendly ingredients. 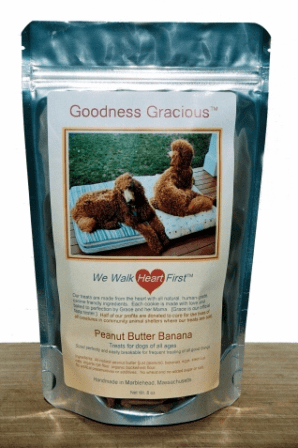 We donate 51% of our profits to community animal shelters and rescues in locations where our products are sold. 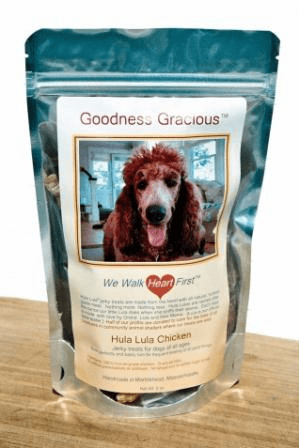 Our treats keep dogs healthy from the inside out... 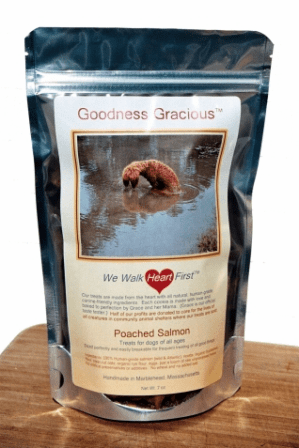 They are free of wheat, salt, garlic, refined sugars, preservatives, artificial flavors and byproducts. 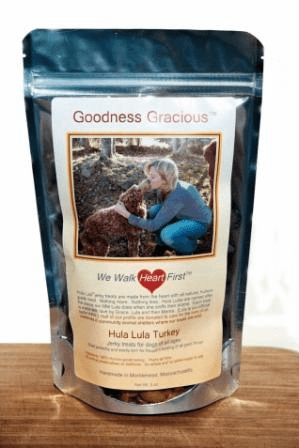 Each treat is made with love and baked to perfection by Grace, her sister Lula and their Mama in our kitchen in Marblehead, Massachusetts.